Tonight, and for the next few nights, the streets of Barcelona will burst open with the swing, chatter, and thrall of the hottest holiday of the year: Carnival. If you’re searching for things to do in Barcelona, you can grab a costume and hit the town with the rest of the city as you eat, drink, and dance your way through one of the most joyous activities in the world as you experience Carnival in Barcelona. Just like in other historically Catholic countries like Brazil and Italy, Carnival in Barcelona has its roots in Catholicism. As Lent is the forty-day period of repentance and reflection for Christians, many either choose an activity or habit from which to abstain, the better to focus on God. This period of reflection, which in 2017 begins next Wednesday, is over on Easter Sunday. With Lent fast approaching, early Catholics spent the weekend before Ash Wednesday doing all the fun and frivolous activities that they would take a break from during Lent. 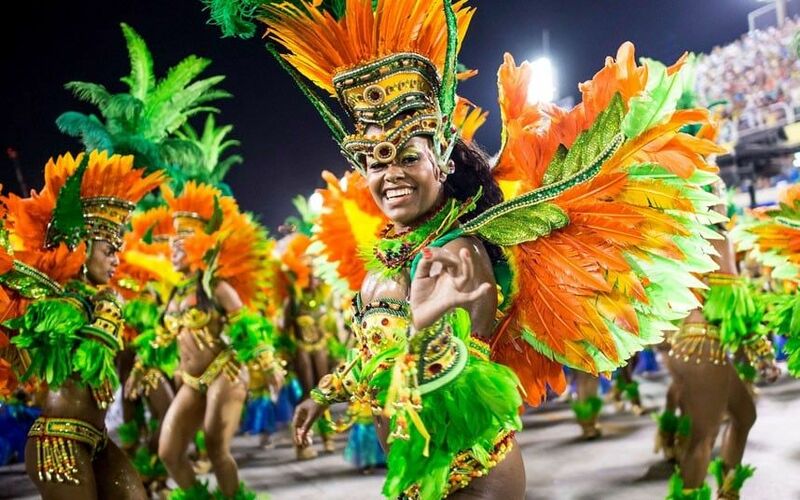 Over time, the switch between enjoying Carnival one week and Lent the next have come to illustrate the strange and lovely dichotomy of being human. You may have heard of the spectacular Carnival festival in Rio, or the Mardi Gras street party in New Orleans, but in Spain? Not to worry—it’s pretty spectacular here too. While some parts of Spain have recently begun to celebrate Halloween, Spanish children tend to dress exclusively in scary costumes for that particular holiday. This makes the Carnival costumes—of characters from books and movies and comic series—look more familiar to an English or American visitor than the Halloween costumes might. The result is a series of incredibly realistic and funny costumes designed by those ready to celebrate the end of winter. Kicking off on Jueves Ladero/Dijous Gras (“Dirty Thursday”), the Carnival in Barcelona is not the largest festival of its kind in Spain. Known as “carnestoltes” in Catalan, the Barcelona citizens enjoy the weeklong series of activities, parades, and events leading up to Ash Wednesday, but the majority of the celebrating is done by the youngest residents of the city. While the Carnival in Barcelona is not the brightest in Spain, luckily, the city is situated about a forty-five minute drive from the biggest party on the continent. Sitges is a beach resort town south of Barcelona, and its Carnival is famous the world over. Known for its fabulous parades, incredible discos, and LGBT-friendly parades, costumes, and more, the Sitges Carnival celebration is a whirlwind of color, music, and fun. Over 250,000 people are expected to pour into the town. Starting on Thursday with the parade announcing the arrival of the traditional king and queen of the festival, the Sitges party continues into the weekend. Every night features a new and exciting activity, from gala balls to drag shows to races. On Ash Wednesday, the party king and queen will “die,” with their former dancers donning an all-black getup to mourn their passing as they are carried through the streets and buried. While there are other exciting Carnival festivals in Spain, namely in Cadiz and in Tenerife, the Sitges adventure is definitely not one to miss if you can spare the drive. Dancers in Sitges do the samba during one of the city’s incredible parades. Carnival in Barcelona—and just outside it—is a strange and exciting time to visit the city. Many of the city’s hottest clubs and bars will be filled with costumed strangers, and there’s something beautiful about joy for joy’s sake. Interested in exploring Carnival in Barcelona? Click here for a calendar of events and more.